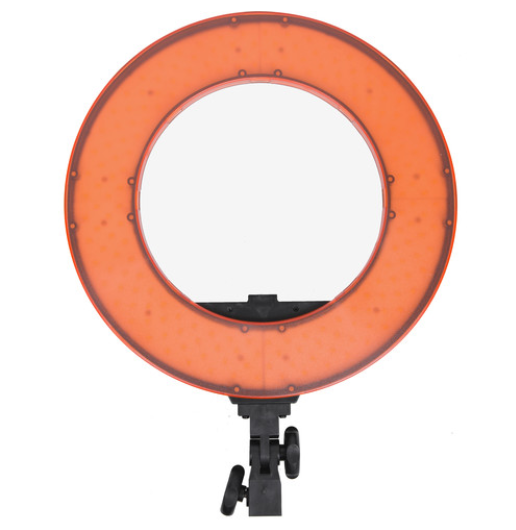 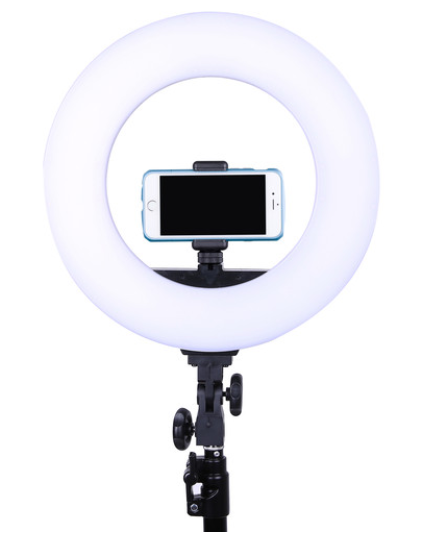 Although the first thing that catches your eye is the LED140 Halo Daylight Ring Light’s unique form, Dracast delivers performance features to back it up its looks. 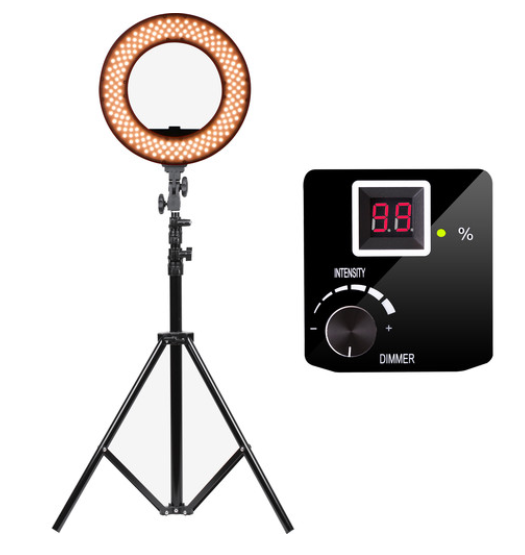 While most light fixtures have some directionality allowing selective lighting, the Halo is omnidirectional, bathing your subject in soft, flattering, near shadowless light that is very kind to skin tones. 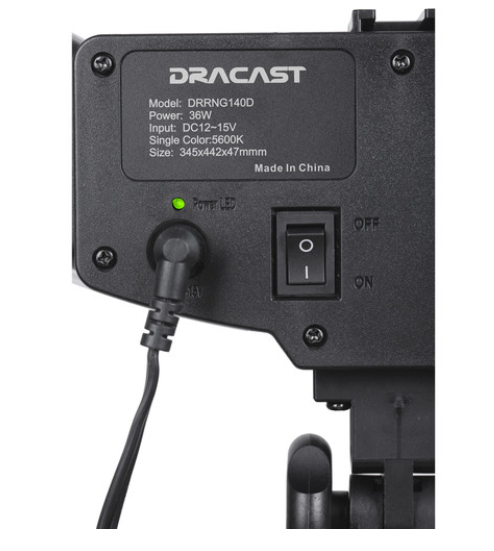 Dracast employs 192 surface-mounted LEDs softened by a diffusion filter for output that’s rated a solid 5600K, while maintaining a high CRI of 96, indicating an accurate rendering of color. 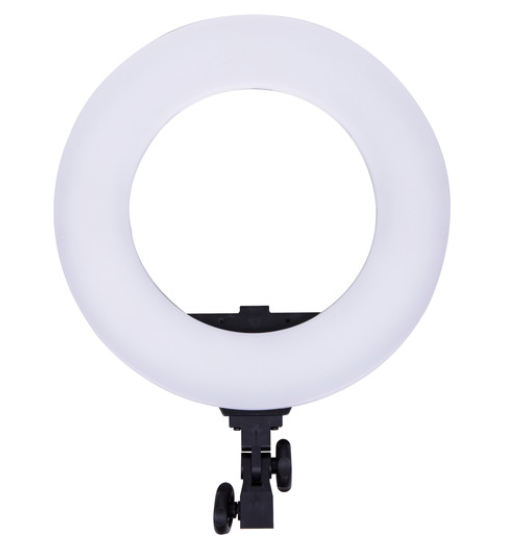 You can use the Halo as you would a traditional fixture – on a light stand placed to one side of your subject for wrap-around light and open shadows. 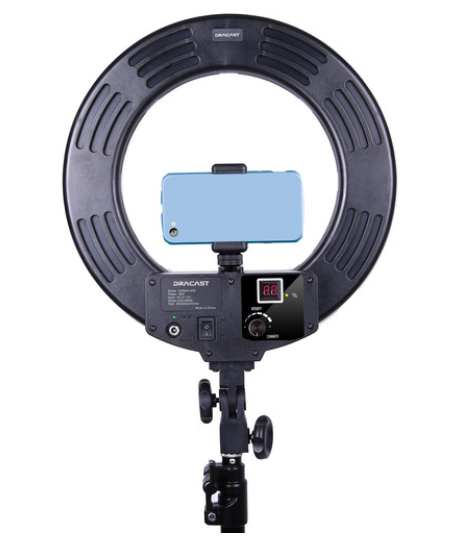 It’s when you place the camera lens into the center of the 19″ ring that the Halo shows its true nature. 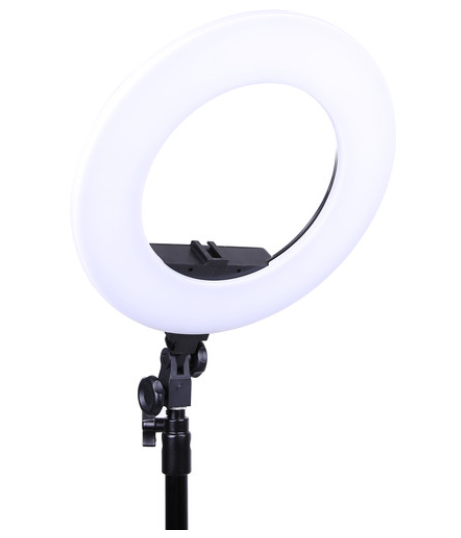 You can use it combined with other harder light sources to create a soft fill light, and since the Halo dims from 0-100%, you won’t have to jockey the fixture around the set. 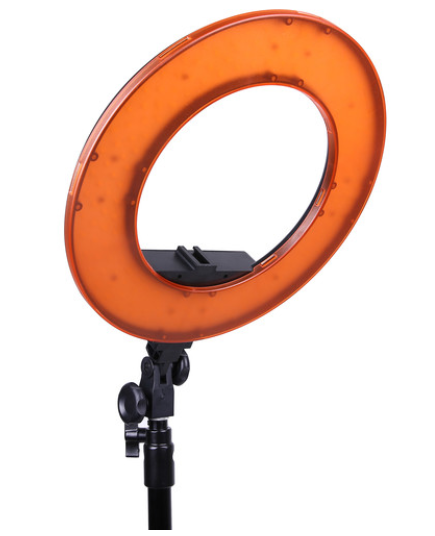 It’s when it’s used alone that its signature characteristics emerge – soft light on the face, head and shoulders with sharp shadows cast exactly behind the body. 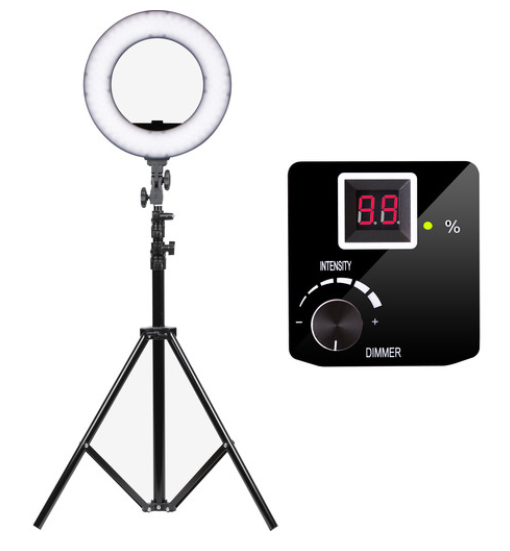 The circular catchlights reflected in your subject’s eyes also have a striking effect, especially up close. 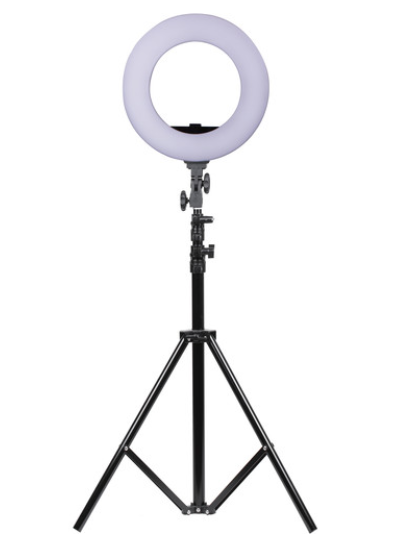 The LED140 Halo is ready for worldwide use thanks to the inclusion of a multi-voltage AC adapter. 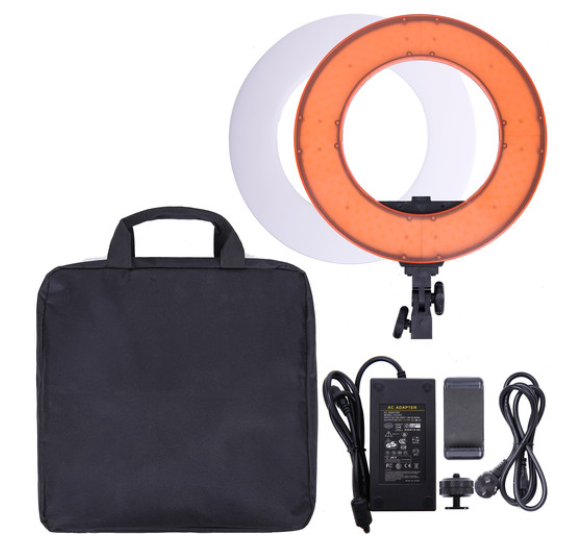 A hot shoe adapter, phone adapter, and a carry case are also included. 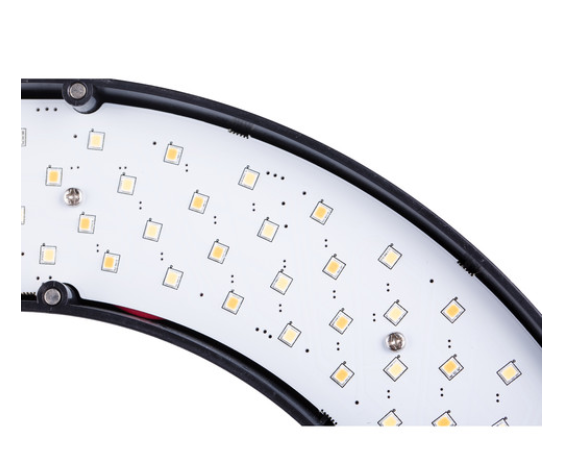 Box Dimensions (LxWxH): 16.0 x 16.0 x 4.0"